Continuing education workshops are designed for pilates instructors and fitness professionals and are a great way to expand your training and knowledge. Workshops are available through Calgary Pilates Centre which is the STOTT PILATES® Licensed Training Centre for Alberta. Most workshops qualify for continuing education credits from STOTT PILATES as well as other recognized organizations such as ACE and Can-Fit-Pro. 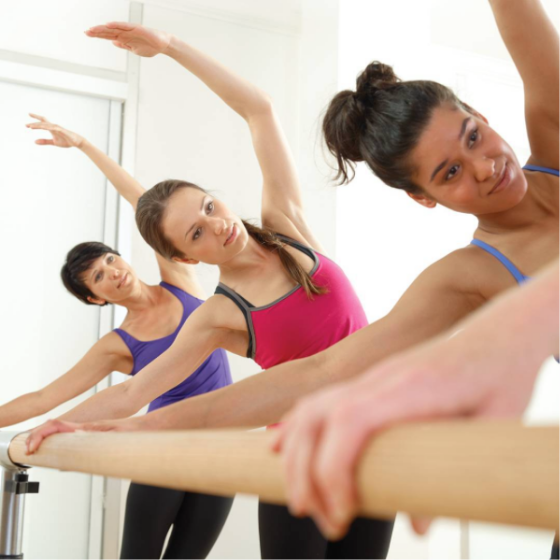 We host 2 conferences a year we offer STOTT PILATES®, CORE™, Total Barre® and Halo workshops. Click here to see our current offerings! Our 2019 CEC Inspire Pilate’s Professionals’ Conference will be on May 5th 2019. We will be welcoming back Tim Fleisher! The following workshops will be offered, if you are interested please register ASAP as the workshops will fill quickly! In our Total Barre workshops you will learn how to apply the comprehensive alignment principles concept used in all Total Barre Programs. This includes understanding how to use the Total Barre template which provides choreography, and tempo for an hour Barre class. As well, discover how key movement segments are broken down in detail to provide optimum biomechanics and explore how to work with music, phrasing and counting as well as teaching strategies, exercise variations and modification to ensure classes are safe and effective for all participants. This mindful movement workout, developed by the Merrithew Health & Fitness™ team, is based on the foundation that proper breathing is the key to a healthy, nourished and vibrant body. We use the breath to activate movement from the inside-out so we can concentrate on optimizing the core connection and mobility of the spine, hips and shoulder girdle. Halo® Training is a multi-functional and three-dimensional exercise program that incorporates the science of core-integrated bodyweight training with the use of the Halo® Trainer Plus and Stability Ball™. The program offers exercises that follow unique progressions or regressions designed to increase functional strength and stability for a client at any level of condition from rehab through to athletic performance training. Keep an eye out for the two conferences we run every year. Our INSPIRE conference runs in May and our CEC Scramble runs in November. Each conference will be host to a variety of different workshops and Continuing Education Certifications with special Guest Instructors presenting at each one. We also offer a variety of Specialty Track Workshops that help to enhance and strengthen your fitness portfolio. Certifying yourself in a specialty track sets you apart from the rest and helps you gain access to a whole new client-base. You can also earn CEC’s by taking these workshops. Specialized programming for the active aging population – learn to adapt the STOTT PILATES Principles and exercises for the active Boomers and older adults. Address issues such as restricted mobility.